News. Features. Websites. Annual reviews. Impact reports. Newsletters. Magazines. Case studies. Adverts. E-newsletters. Strategies. Reports. Leaflets. Fundraising copy. Direct mail. Internal communications. 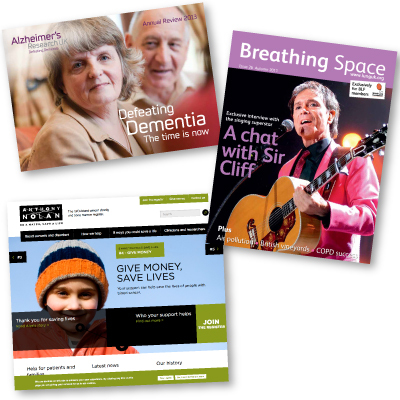 I have extensive experience writing all these and more for all sorts of charities. As a trained journalist with experience writing for national publications, I am skilled at producing effective and engaging news, features, case studies, magazines and newsletters. But equally, I love and have huge experience copywriting impactful annual reviews, leaflets, adverts, websites and fundraising copy. 1. Effective. I will work with you to deeply understand your target audience and what you want the copy to achieve. Then I will produce a final product that absolutely meets your needs. innovative and exciting. There’s nothing plain about it. 5. Inspiring. My copy will make your target audience take action. Could I help you produce first class copy? Get in touch today.